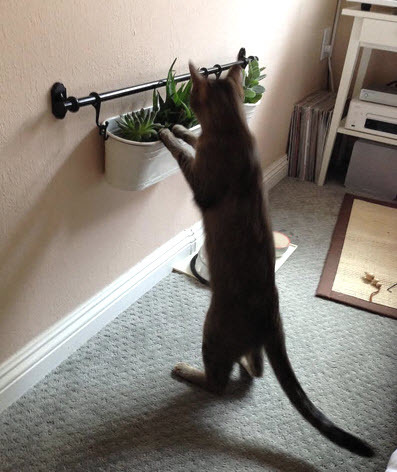 Hang a planter with edible plants for your cat on the wall! Attach a shower bar on the wall at a height that is good for your cat. Hang a planter on the bar. Set potted plants that are safe for your cat in the planter, such as catnip, catmint, or wheat grass. Rotate the plants out to get extra sun or grow more after being eaten if needed.